Recently, the Traveling Wall—a smaller replica of the National Vietnam Memorial in Washington, D.C.—came to my community in Austin, Texas. My wife Carolyn, whom I have known since before I went to Vietnam, thought that we should go visit it. For me, and many other Americans, viewing the Wall is an emotional and somber experience. This time was no different. The Traveling Wall spanned the length of our local high school football field. We walked slowly past the etched names of all the soldiers who died or went missing in Vietnam. I saw one woman making a rubbing of one of the names with charcoal and a sheet of paper. For her, bringing the soldier closer in that way might have made the hurt a little more bearable. Seeing her tears, I knew that her pain had lasted for a very long time. “It will never go away,” I thought to myself. Loved ones had left all sorts of mementos and flowers by the memorial. There was even an old newspaper clipping of one soldier’s death announcement. We slowly walked the length of the football field before turning back and revisiting the names a second time. A young boy, about ten or twelve years old, walked towards us. He, too, was paying tribute to the fallen in his own way. By the look on his face, I could tell he was seeking some understanding from the memorial. He wore a red and black football jersey, the colors of the local high school. The school had recently won three state championships, and he must have been proud. One day, I thought, he might even play on the team himself and maybe even compete in the state championship. I sighed and prayed that he would have the opportunity. Each of the names represented a real loss. Carolyn wondered out loud what each person would have become, given the chance. She reflected on all the hopes and dreams that went unfulfilled because of the war, on what a waste it was—not just for the families, but for our country. As we walked past the thousands of names—Donovan, Olson, Watson, Salinas, West, Yardoch, Neu, Viado, Stokes, Young, Torres, Spillner, Castle, Lopez, Zeller, Magee, Lafever—I felt only sorrow and regret. Most of these lives had been extinguished just as they were beginning. I no longer felt anger, for I had learned to accept this reality long ago. But like all the times I visited the Memorial in Washington, D.C., it felt as if I had been punched in the stomach. In that moment of sadness, I wanted to reach out to those brave soldiers who died. What would they want now, some thirty-seven years after we left Vietnam? I feel they would want the truth to be told. It is for the sake of the 58,286 soldiers whose names are etched on the Wall, their families, the 3,100,000 soldiers who served in the Vietnam War—and, most of all, the truth—that John Hagan and I have pushed this book to publication. While stationed in Vietnam as an operating room specialist, I kept a record of my wartime experiences and reflections. 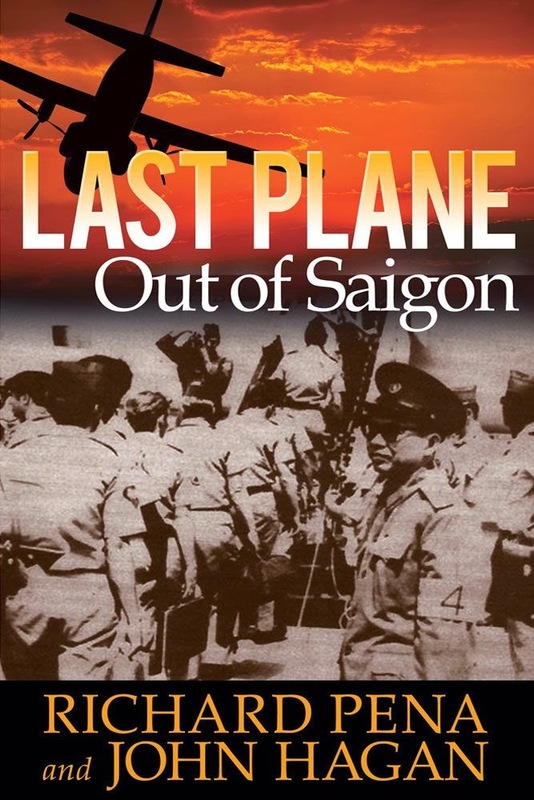 I left Vietnam on the final day of the American withdrawal, on one of the two very last planes out. Upon my return, I put the manuscript in a cardboard box, where it remained hidden away in the garage or attic for thirty-seven years. I knew that the American public had mostly overlooked the war, an important moment in their nation’s history. But everyday responsibilities kept me busy, and I went on to quietly live my life. It wasn’t until 2003, when I led a law delegation to Vietnam, that I realized the true significance of my departure on that final day. Hanging on a wall of the War Remnants Museum in Ho Chi Minh City was a photo that depicted Americans troops boarding the final planes out of Vietnam. The inscription under the photo read, Last Plane Out. Carolyn and I both immediately recognized a much younger me in the photo, carrying my law school briefcase. I had never seen this picture before. The Vietnamese consider this photograph to be one of the iconic images of war, but to my knowledge the American public has been unaware of its existence. Per the Paris Peace Accord signed January 23, 1973, America was to withdraw from Vietnam in sixty days. Those of us on the last two planes left on the sixty-first day. The American press was gone, the brass was gone—nearly everyone had left. I noticed a Viet Cong soldier taking a picture of. As I boarded the plane, I had a sense that someday the photo would surface. Many Americans believe that the “end of the war” came in 1975 with the evacuation of the U.S. Embassy via helicopter. The photos of that event are deeply etched in our collective memory. However, historians know that American military involvement in the Vietnam War actually ended in March 1973 with the withdrawal of the last American combat troops. To this day, I am glad that I was one of the last ones out. At the time, I was relieved to know that no additional American soldiers would be sent to die for that war. I would like to thank John Hagan for his tireless work—without him, this book would not have been possible. It was John who had me pull my manuscript from the attic and who understood its historical significance. The core of the book consists of journal entries I wrote while serving in Vietnam from 1972 to 1973. I would like to thank the People To People Citizen Ambassador Programs for selecting me to lead the law delegation to Vietnam. Because of them, I was able to discover the Last Plane Out photo hanging in the American War Museums in Ho Chi Minh City. I thank the American Bar Foundation for its support and encouragement. I would also like to thank my family and friends, who tried to understand and accept me back into “The World” when I returned. I would like to thank my wife, Carolyn Malley Pena, for her understanding, love, and support throughout these years. Above all, I would like to thank all those who continue to remember Vietnam and work to provide medical care for the veterans of all of our wars. As you read the following pages, please understand that I wrote these words in real time as the war was happening. Stakes were high and emotions were raging. These are the truths as I experienced them. Please remember, this is only an interpretation. The truth, of course, is far stranger. John Kerry once asked which young American would be “the last soldier to die for a mistake.” Richard Pena knew that he did not want to be the answer. It was 1972, and the Vietnam War was still raging. Despite American troop withdrawals, the killing and dying continued unabated. Young and angry, Richard had no wish to accept a death sentence or prolong the inevitable American defeat. However, if he was going to serve in Vietnam, he wanted to be among the final American soldiers to leave—alive. As one of the last men out, he would bear many of the lasting lessons from this war. In his youth, Richard learned to be proud of his country and his ability to find “his own way.” He learned many valuable lessons through the compassionate discipline shown by his parents, Merced and Rebecca, as he was growing up. His parents and extended family, who were proud of their Hispanic heritage and values, taught him by example. Merced served in World War II and won a Silver Star for his service at Iwo Jima as a Marine field medic. Upon his return to San Antonio, Texas, he married Rebecca, his high school sweetheart and worked as a postman for the U.S. Postal Service, while Rebecca worked at Kelly Air Force Base. As rising middle-class parents of two baby boomer sons, they lived a version of the post-World War II American Dream. Richard was born in 1948, fourteen months after his older brother, Mercy. Richard would never be tall, but he was fast. His father believed that Richard’s speed and scrappiness would make him a basketball star, and he promised his son that there was “a way to win.” Richard’s mother would add, “There is always a way.” In San Antonio, children played in the church leagues before moving on to middle school basketball. Richard’s father put up a basketball hoop in the backyard and led the community effort to build a neighborhood church, which resulted in the Northwest Christian Church. Although his parents voted for Richard Nixon over John Kennedy in the 1960 presidential election, Richard hardly knew the difference between the candidates. His political awareness only emerged after the assassination of President Kennedy, and he became more politically engaged after he went off to college. In the fall of 1966, Richard enrolled at the University of Texas at Austin. The basketball coach, who had coached one of Richard’s opponents in high school, wanted him to join the team as a walk-on. Richard declined, deciding to make schoolwork his priority instead. The University of Texas at Austin was only seventy-five miles away from Richard’s hometown, but the culture of the school made it seem worlds apart. During his undergraduate years, Richard became interested in the questions others were asking about American foreign policy. His interests took a bookish turn, and he abandoned sports completely in favor of economics and political science. The world was changing, too. Antiwar politics were on the march across America’s campuses, and the University of Texas at Austin was no exception. These were turbulent times. In 1966, draft card turn-ins and burnings attracted national attention. The fall of 1967—Richard’s sophomore year—brought events like “Stop the Draft Week,” the shutdown of the Draft Board in Oakland, and the first major Pentagon protest in Washington. That year was also stained by the assassinations of Dr. Martin Luther King Jr. and Robert Kennedy. Late that summer, the whole world watched as policemen rioted in Mayor Daley’s Chicago and attacked antiwar demonstrators at the Democratic Party Convention. The revelation of the My Lai massacre struck a raw nerve in Texas during Richard’s senior year. A young journalist for the St. Louis Dispatch, Seymour Hersh, broke the explosive story that in March 1968 a twenty-six-year-old soldier, William Calley, deliberately led the mass slaughter of at least 109 Vietnamese civilian men, women, and children. Fuel was added to the fire when, in the spring of Richard’s senior year, President Nixon announced the expansion of the war into Cambodia. Students roared into action in Austin and at over one hundred other university campuses throughout the United States. The American Council on Education estimated that there were nearly ten-thousand incidents of protest in 1969. In May 1970, Austin antiwar leaders decided to hold a week-long protest. They planned to march across campus in order to avoid the need for a downtown parade permit, which the city had previously denied. The Monday before the march, word spread of nine wounded and four dead in Ohio. The young National Guardsmen who arrived at Kent State University had fatally shot the students with M-1 rifles recklessly loaded with live ammunition. The Crosby, Still, Nash & Young song “Ohio” eulogized the dead students and later became a poignant call to arms. By noon on Tuesday, 8,000 had gathered at the University of Texas at Austin to protest the Kent State shootings on the main campus mall. A crowd of 5,000 marched across the University and then headed downtown, disregarding the required permit. Richard participated in several campus demonstrations over the next week, some of which were reported in the national news media. Observers estimated that about half of all American university students took part in the May 1970 demonstrations. Richard ironically recalled that he held up a sign that read, “Hell No, We Won’t Go.” Only a few months later, he would be a soldier in Vietnam. Richard was among those young political protesters who were upset by all the wrongdoing and violence caused by the war. He viewed the marches as legitimate responses to the Kent State killings. To him, the Vietnam conflict was an illegitimate, politically motivated war that sacrificed young Americans without good reason. Those in power justified the war with the “domino effect” theory—that is, if the war was not fought, communism would spread like falling dominoes. Richard found the logic of this argument to be incoherent and disingenuous. The week of protest in Austin snowballed into a general strike, and tens of thousands of students became involved in the rallies. The protesters even briefly took over the state Capitol. By Friday, students had completely abandoned classes in order to attend the strike. Governor Preston Smith, like governors in fifteen other states, called out the National Guard, and the city turned out 200 riot-equipped police. FBI agents with rifles lined the top of the clock tower as police helicopters swooped down over the campus. During Friday’s demonstration, 25,000 people came to protest the Cambodian invasion and the killings at Kent State. Led by a girl dressed in black, the march spanned thirteen blocks and featured a procession of American flags and coffins. As historian Beverly Burr writes, “The Friday march was the largest student protest activity to occur in Austin history, and has yet to be rivaled. The march turned into a huge love-in, which lasted into the twilight. That evening a memorial service for the four who were killed at Kent State was held on the main mall”2 The demonstrations were a powerful continuation of the free speech and antiwar protests of the 1960s. The historian Todd Gitlin concluded that the protests after the Kent State shooting marked the peak of the student antiwar movement.3 This may have been true for radicals on college campuses, but ordinary citizens everywhere were still being drafted into the military. Pro-war soldiers often became antiwar after being sent to Vietnam, and many servicemen were angry and motivated to halt the U.S. war effort. As the student movement broke off into factions, leadership of the antiwar initiative passed to veteran and active-duty soldiers.